We are manufacturers and exporters of the wide range of Aluminum Casting Heaters, We provide Aluminum Casting Heaters with high quality and efficient method of heating and controlling Extruders, Heat Sealers, Compression Molding Platens, and Vacuum Forming Platens. Owing to their rich quality, these are widely acknowledged in the industry for their easy operations and longer service life. 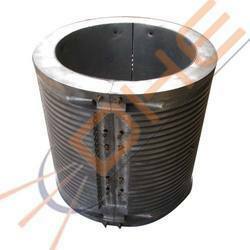 Our clients can avail a variety of Cast Aluminium Plate Heater from us. These plate heaters are designed by engineering experts working with us to suit requirements of different types of industries and client. These heaters are constructed using high-class aluminium which is procured from reliable vendors. Our heaters are highly praised for its complex designs and durability. We also offer customized solutions of these heaters understanding requirements and specifications of clients. We are engaged in offering a wide assortment of Cast Aluminum Heaters to our valuable customers. 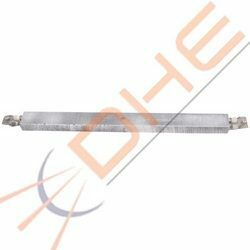 Manufactured using the premium quality raw material, with low melting point these heaters have won appreciations in the Indian and International market. These heaters have won appreciations for these heaters. Furthermore, our products are manufactured in a manufacturing unit that is certified with ISO 9001, hence a mark of quality. 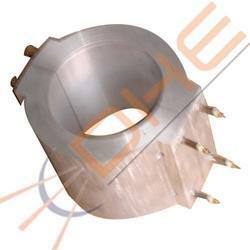 We offer a wide range of Cast Heaters to our respected clients. 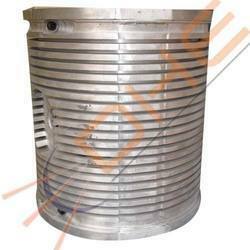 We are the leading manufacturer of a wide range of Cast Aluminum Air Cooled Heater. We offer a variety of Band Heaters to our respected customers. These heaters are specially designed with the robust terminal junction. These heaters are used in rubber and plastic processing machines.